If you’re one of those unlucky many who gets shut out of Comic-Con every year, there is a way to get your pop culture fix. 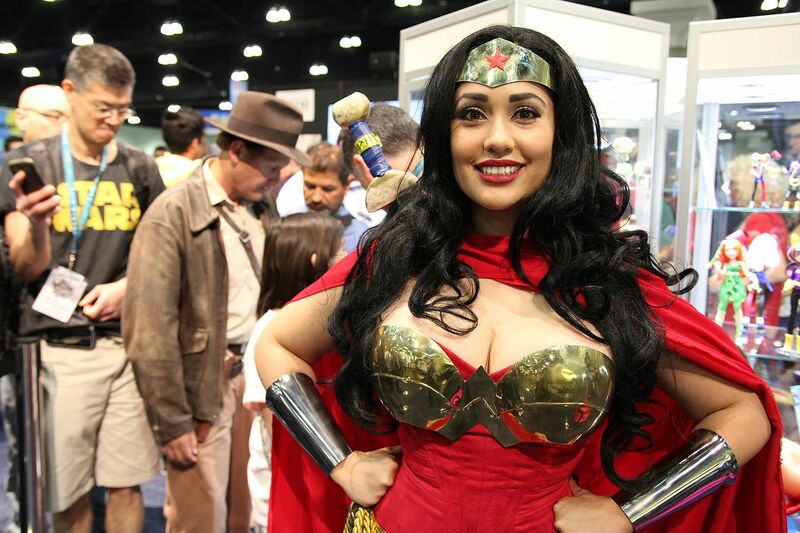 It’s called WonderCon and it’s a smaller, less chaotic convention that runs this weekend, March 31 to April 2, at the Anaheim Convention Center. WonderCon is put on by the same organizers of Comic-Con and although it’s growing in popularity, it’s an easier event to get tickets for. Compare that with Comic-Con, which usually sells out all of its tickets the morning they go on sale. This year, Comic-Con badge sales begin April 8 and as Comic-Con organizers like to remind fans, there are far more eligible attendees than badges available. But as of early this week, WonderCon tickets were still being sold online just days before the start of the event. Three-day badges and 1-day badges for Saturday were sold out, but badges for Friday ($30 for adults) and Sunday ($18 for adults) were being sold. WonderCon offers fewer big name celebrities and stars from movie and television screens and fewer movie trailers and sizzle reels that directors showcase to hype upcoming blockbusters. But pop culture is still the main attraction of WonderCon and it gives fans an opportunity for a more intimate celebration than the massive Comic-Con, which sprawls through the cavernous San Diego Convention Center and throughout hotels and locations in the downtown San Diego area. Some of the WonderCon presentations and panels are similar to what may be seen at Comic-Con later this summer, including panels on “Star Trek,” “Battlestar Galactica” and presentations on comic books, anime and Cosplay. One of Comic-Con’s biggest problems is the sheer wealth of programming. Each year, fans are forced to choose between attending a presentation on a popular television show they watch that’s scheduled at around the same time as the showcase for an upcoming blockbuster movie. And WonderCon offers a similar assortment of panels on breaking into the business, whether you are a writer or an illustrator. For more information on WonderCon, visit http://comic-con.org/wca. Luis Monteagudo Jr. is a freelance writer and pop culture enthusiast who has attended Comic-Con for more than 20 years. He was written for The San Diego Union-Tribune, USA Today and numerous other publications.